Lumiskin Review (2018): Does It Work And Give You The Best Results? Lumiskin is a proprietary ingredient from Sederma, one of the largest, most well-recognized cosmeceutical formulators in the world, that has been specifically formulated to deliver skin lightening benefits, and which primarily consists of the compound, Diacetyl Boldine (DAB). Lumiskin – Does It Really Work? Does Lumiskin Have Any Side Effects? 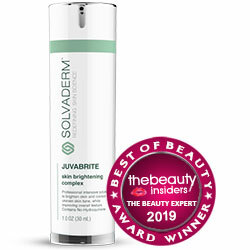 This proprietary skin care ingredient is formulated and manufactured by Sederma, the same company behind the Matrixyl series, multi-peptide complexes, which have been used extensively in anti-aging products of a wide array of categories. Founded in 1964 and later, in 1997, becoming a subsidiary of the Croda International Group, Sederma “is dedicated to the development of active ingredients and in the creation of innovative concepts for Cosmetics, based on the mastery of biotechnology, fine chemistry and vegetal extraction”. The Paris-based R&D and manufacturing company is a leading developer of a wide range of high performance ingredients commonly infused in a wide range of hair care and skin care products. However most of its products formula is not proven clinically. Regulate adrenal functions and calcium levels which also minimizes skin pigmentation. Indirectly inhibit the production of tyrosinase, a precursor that activates melanin, your skin’s natural pigment, to lighten your dark spots and enhance the natural radiance of your complexion. Helps prevent photo damage caused by UV and hyper pigmentation activities induced by other factors that can cause skin darkening. Day Cream with sun filters. This product works by indirectly inhibiting melanin production by inhibiting tyrosinase pathways and production, while also regulating adrenal functions and calcium levels. Diacetyl Boldine: Is a major component in many skin care products. It is useful in Lumiskin as it fights skin blemishes like acne and providing skin lightening solutions. 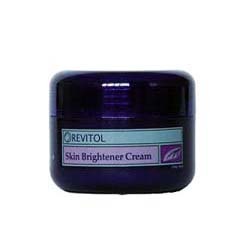 Crodamol: Is an important ingredient of Lumiskin that shields the skin of the user from harmful emissions from the sun. Lumisphere: Is important in regulating the production of melanin by the skin. It is important in contributing to natural skin shininess. Jojoba oil: This ingredient acts as an anti-inflammatory agent, soothing the irritated skin. It can cause some side effects such as rash and allergic reactions. Lumiskin must be infused in cosmetics and personal care products that target to deliver skin whitening. Lumiskin has been developed by one of the world’s largest and well-reputed cosmetics ingredients labs, Sederma. Based on an independent study conducted in relation to the potency of Lumiskin, the researcher noted how DAB caused 25 per cent improvement in dark spots after only 2 months of continued application of this proprietary ingredient. The ingredient may have to undergo further independent efficacy studies. The manufacturer does not make detailed information about Lumiskin widely available, although detailed documents are available by request. Contains fragrance which some may find awkward due to various oils. User is below 18, pregnant or breastfeeding. Taking medications or supplementation that may include citric acid, calcium carbonate and aluminum hydroxide, among others. Lumiskin is based on intensive R&D work but there are other factors that will affect its potency when added to your skin lightening products. On your part, it is best to obtain this ingredient from commercial products and not in its pure form.